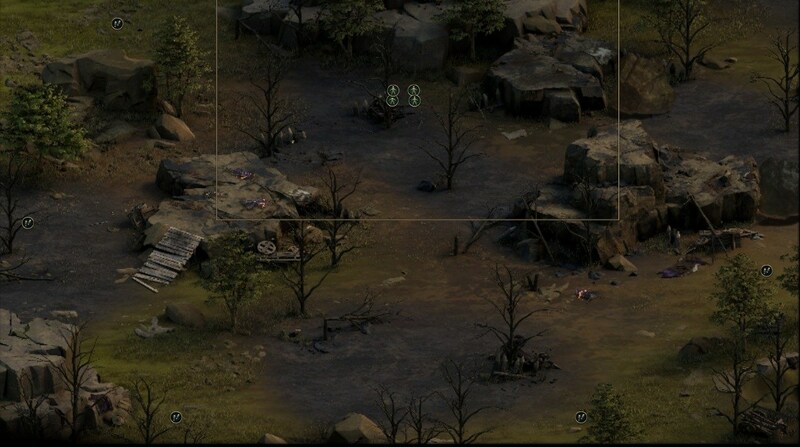 Northern Clearing is an location in Tyranny. When you first enter the area you will notice some dead Earthshakers nearby. Loot them and the barrels for some free equipment and goodies. Defeat the Vendrien Guard up ahead and then search the flipped over wagon to the right; there are some hidden gems there. Then speak with Helspar. You will gain favor with the Disfavored for rescuing the Earthshakers. Depending on what you say you can gain more or lose favor with the Disfavored. Once finished head back to the Disfavored Camp. Following the neutral path templete on the conquest, I don&apos;t see the corpses that I need to gain the quest, maybe the latest patch have changed this?